Student Tiffany Partain simulates a victim in a mock vehicle accident at White County High School Friday. 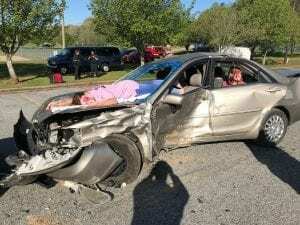 CLEVELAND, Ga. — It was just a mock vehicle accident, but hopefully the students at White County High School (WCHS) got the message, especially with prom night fast approaching. The “accident” was staged by White County Emergency Services along with students from the high school and the nursing school at Truett McConnell University (TMU). The setting was the lower parking lot at WCHS and the entire student body was on hand to witness the event. WCHS student Aden Stein plays the role of a drunk driver in Friday’s mock vehicle accident. Aden Stein, played the role of a drunk driver who faces 20 years in prison for causing the accident that “killed” 17-year-old Tiffany Partain. 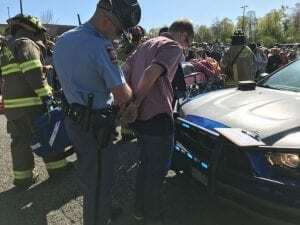 Those injured in the wreck included TMU students Hannah Bradley, Jendra Chaverria, Priscilla Badu, Rachel Brown, Emily Drane and Morgan Harris. 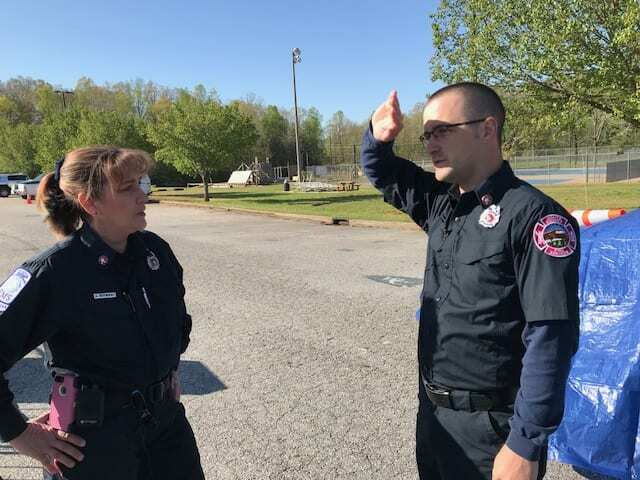 White County Emergency Services employees Ana Newberry and Josh Taylor narrated the events, explaining the actions that are taken at a fatal accident scene. Sadly, their narration struck very close to home. Newberry lost her son in a car wreck and Taylor lost his younger brother. An AirLife helicopter arrives at WCHS Friday ready to transport victims to the hospital following the mock car crash. Throughout the event, Partain’s “lifeless” body lay on the hood of the car she was driving. First responders worked to extricate the passengers in her vechicle, TMU students Bradley, Chaverria, Badu, Harris, Brown, and Drane. Meanwhile, a state patrol officer administered field sobriety tests to Stein before placing him in handcuffs and transporting him to jail. 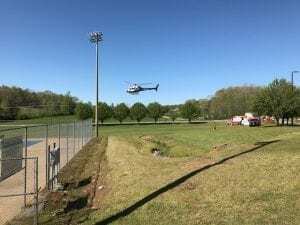 Moments later, an AirLife helicopter landed to transport the injured to the hospital. He talked about being on duty at the fire station the night he heard a 911 call come in about a traffic fatality. “I thought ‘Man, I hate that for somebody. They just lost a loved one,'” Taylor said. Thirty minutes later, he learned the deceased was his younger brother. 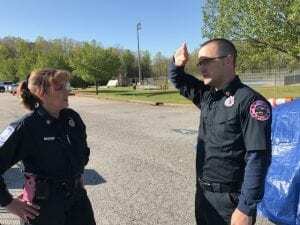 White County Emergency Services employees Ana Newberry (left) and Josh Taylor narrated Friday’s mock vehicle accident, hoping to impress on students the dangers of impaired or distracted driving. Hopefully, the hard work by the school, first responders and students will save someone’s life. 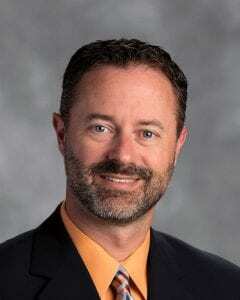 CLEVELAND, Ga. — White County schools continue to receive recognition for academic excellence. Last month, Tesnatee Gap Elementary School and Mount Yonah Elementary School were named to the list of Title 1 Highest Performing Schools in Georgia. When state School Superintendent Richard Woods named the Advanced Placement (AP) Honor Schools for 2018 this month, White County High School (WCHS) and the Ninth Grade Academy (NGA) were recognized in three categories: AP Challenge Schools, AP STEM (science technology engineering mathematics) Schools and AP STEM Achievement Schools. AP Challenge Schools are schools with enrollments of 900 or fewer students and students testing in four of the core areas (English, math, science, and social studies). AP STEM Schools are schools with students testing in at least two AP math courses and two AP science courses (AP Calculus AB, AP Calculus BC, AP Statistics, AP Biology, AP Chemistry, AP Environmental Science, AP Physics 1, AP Physics 2, AP Physics C, AP Computer Science A). AP STEM Achievement Schools are schools with students testing in at least two AP math courses and two AP science courses and at least 40 percent of exam scores on AP math and science exams earning scores of 3 or higher. AP exams are administered by the College Board, which also administers the SAT. AP courses are one of several ways Georgia students can access college-level learning at the high-school level. Students who receive a 3, 4, or 5 on an AP exam may receive college credit. 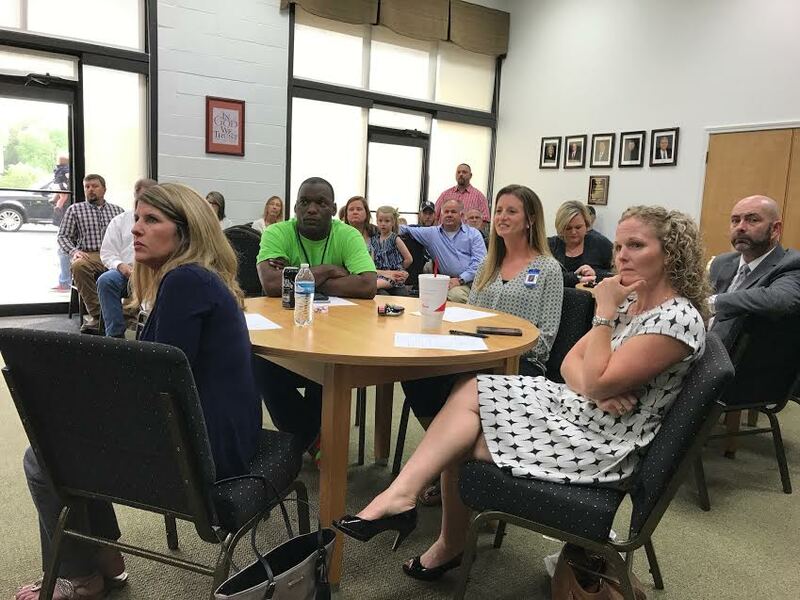 CLEVELAND, Ga. — The White County Board of Education devoted much of its time during Tuesday’s meeting to a discussion of the ransomware attack that impacted the school system server two weeks ago and sportsmanship. The cyber attack was not as devastating as the one that was launched against the city of Atlanta. The school system’s total financial loss was the $5,000 deductible paid to the insurance company. Wilson said new procedures are being put into place to protect against future attacks. The sportsmanship discussion centered on fan behavior. Wilson said there had been several incidents of poor sportsmanship at White County High School games this year, mainly involving parents. Wilson said there had been some incidents where fans verbally abused coaches as well. “We’re not going to put up with them being ugly to our coaches either. This season, we’ve had some parents chew on them pretty hard, and we’re not going to have that anymore,” the superintendent explained. Wilson said the school system has new sportsmanship guidelines that fans will be required to follow. The guidelines will be discussed during weekly meetings with athletes and parents and will be posted publicly at different sports venues. 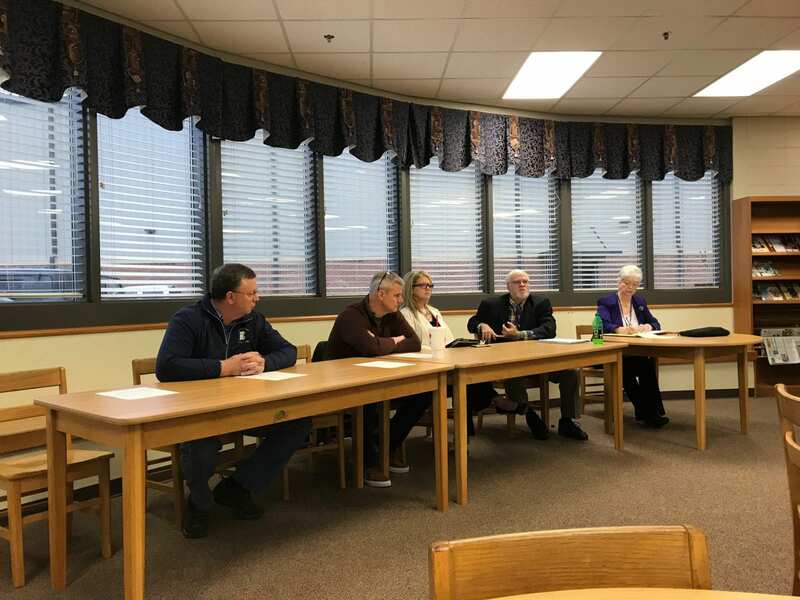 Several pay-as-you-go items were also discussed and are expected to be voted on at Thursday’s school board meeting, including extra surveillance cameras for schools ($20,000), a viewing station ($3,000), global positioning system (GPS) for buses ($18,154) and a tarp for the White County High School baseball field ($6,000). Students in Dawson, White and Lumpkin counties stage walkout to honor those killed in Parkland, Fl. 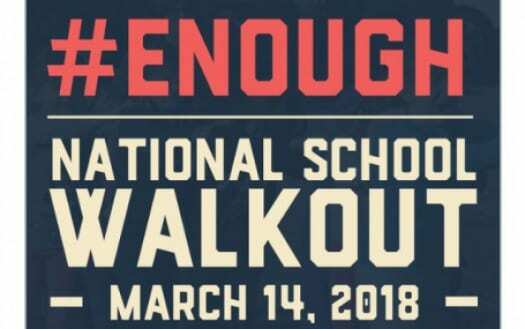 However, in heavily Republican counties like Dawson, Lumpkin and White, the walkouts were more about a respectful memorial to the 17 students and faculty killed at a Parkland, Florida, high school last month and less about making a political statement. 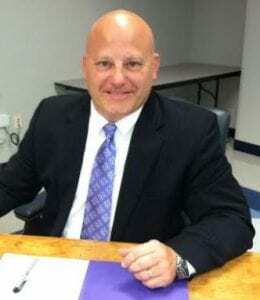 Lumpkin County School Superintendent Dr. Rob Brown said about 125 students at Lumpkin County High School and 25 at Lumpkin County Middle School participated. “It was all about showing respect for the students and faculty involved in the Parkland tragedy,” Brown said. While some Georgia school systems threatened to punish students who walked out of classes, that was not the case in Lumpkin, White or Dawson counties. “We believe First Amendment rights are just as important in schools as they are in the rest of society,” Brown said. Students at both schools stood around the American flag in observance of the 17 minutes. “The principal encouraged the kids to work on their social skills by talking to students they don’t know and getting to know them,” Brown said. Students in White County schools were also welcome to join in the walkout. School Superintendent Dr. Jeff Wilson said 200 White County Middle School students participated along with about 50 at the high school and 15 at the Ninth Grade Academy. “We respect their right to express themselves as long as it’s respectful and doesn’t disrupt the other students,” Wilson said. The walkout had a very unique significance at WCMS thanks to a teacher, Melanie Lawhorn, and her students, who developed the “Warriors for Kindness” project. The project, which is posted on the school’s website states, “In order to honor the lives of the 17 individuals lost in Parkland, Florida, White County Middle School students are performing 17 random acts of kindness during the one-month anniversary week.” The acts of kindness are being logged and will be mailed to Marjory Stoneman Douglas High School as a sign of support and love for the community. School Superintendent Dr. Damon Gibbs said the event in Dawson County was respectful and non-disruptive. “We allowed our students to gather in remembrance of those killed in Parkland, Florida, as well as to express their desire to see an end to school violence of any kind,” Gibbs stated. Staff was assigned to hold discussions with students and answer any questions that they had. There was one scare, however, involving White County High School. At 1:47 a.m., a passerby noticed smoke coming from the roof at the high school and called 9-1-1. Firefighters responded only to learn the smoke was produced by workers who are replacing the roof at the high school. Replacing a roof is hot work so they decided to do the work before sunrise when the temperature is much cooler. Other than that false alarm, firefighters got a well-deserved day of rest. CLEVELAND, Ga. — The White County School System is about one month and $11 million away from a balanced Fiscal Year ’18 budget. 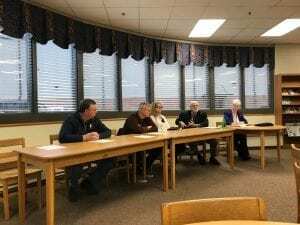 School Board members held a preliminary budget hearing Thursday which revealed schools have estimated expenditures of $65,411,417 in FY ’18 and estimated revenue of only $54,239,323. A second budget hearing is set for May 25 at 6 p.m. In the meantime, Board members will work on ways to balance their spending plan. The good news is the School System has a healthy fund balance, expected to grow to $17,370,434, by June 30, the end of the fiscal year. Board members can make up the shortfall from the fund balance. A second, less desirable solution, would be to ask taxpayers to make up the entire difference in the form of a millage increase. A more likely scenario would be to remove some money from the fund balance and ask for a millage increase to make up the rest. The Board will approve the final budget, review the millage rate, schedule and advertise the budget and millage rate public hearings if necessary on June 29. Formation of a Spanish National Honor Society at White County High School. 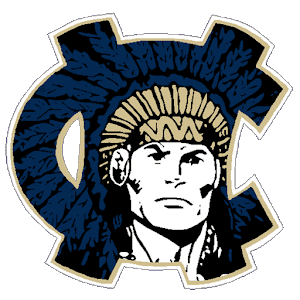 CLEVELAND, Ga. – The Washington Post has released its 19th annual “America’s Most Challenging High Schools” list and, for the second year, White County High School was named to the list. 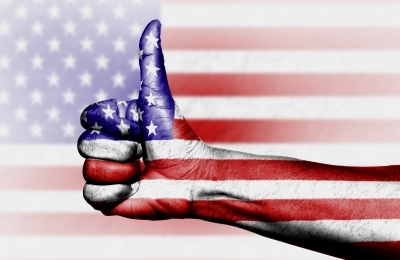 The list shows how successfully schools around the nation challenge their students. Only 12 percent of the nation’s high schools qualify. The schools are ranked by the number of Advanced Placement, International Baccalaureate and Advanced International Certificate of Education tests given at a school each year, divided by the number of seniors who graduated that year. According to National Alliance for Public Charter Schools, nearly one in three of the Most Challenging High Schools are Charter Public Schools, like White County. This list doesn’t include campuses with a very small population and only included those with a “high school atmosphere,” so institutions located on college campuses and schools which include seventh grade and lower were not considered. 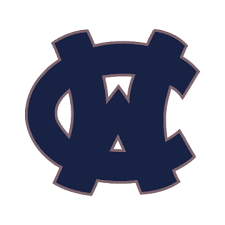 CLEVELAND, Ga. — Tim Cokely, a highly successful prep football coach in Florida, is the new head football coach at White County High School. Cokely has had a highly successful 27-year coaching career that includes 185 wins, 73 losses and six state championships. He was introduced at a press conference Thursday in the school’s Media Center by Athletic Director Alan Griffin. In 2016, he led Leon High School in Tallahassee to a 7-3 record last year. Cokely said he met with assistant coaches in the morning and is going through a process to determine which ones will remain. Asked about changes in the offensive and defensive schemes, Cokely said, ” I have to coach what I know. I’m basically a one back, inside run, zone stretch coach. I’ve always been involved in the offense and call all the plays. But I typically hire a guy to coach the defense so I haven’t had much say on that side of the ball. I do believe in putting our best players on defense. Cokely has coached a number of players whose skills took them all the way to the NFL like tight end Dwayne Carswell (Broncos), Ernie Sims (Lions, Colts and Cowboys) and Antonio Cromartie (Jets). 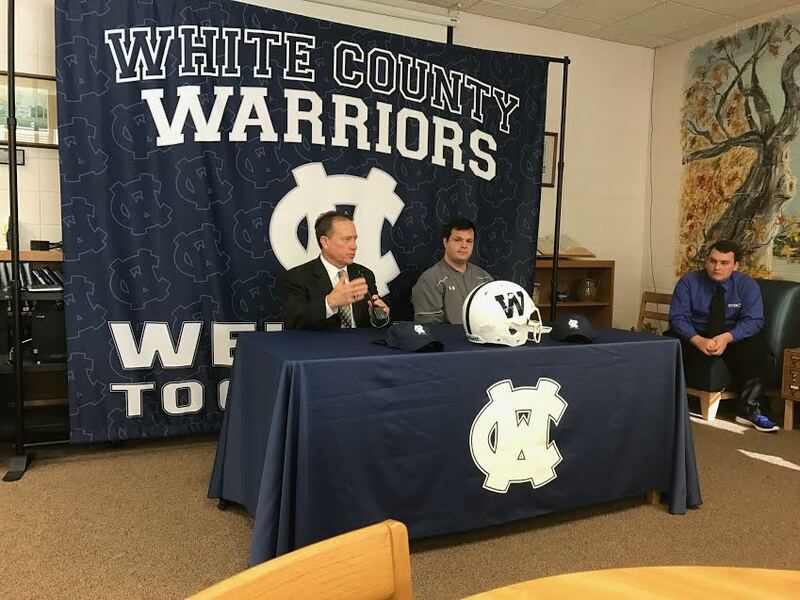 Cokely will replace Bill Ballard, who announced in November that he was stepping down as the White County football coach after six years. Ballard remains with the school as head track coach.